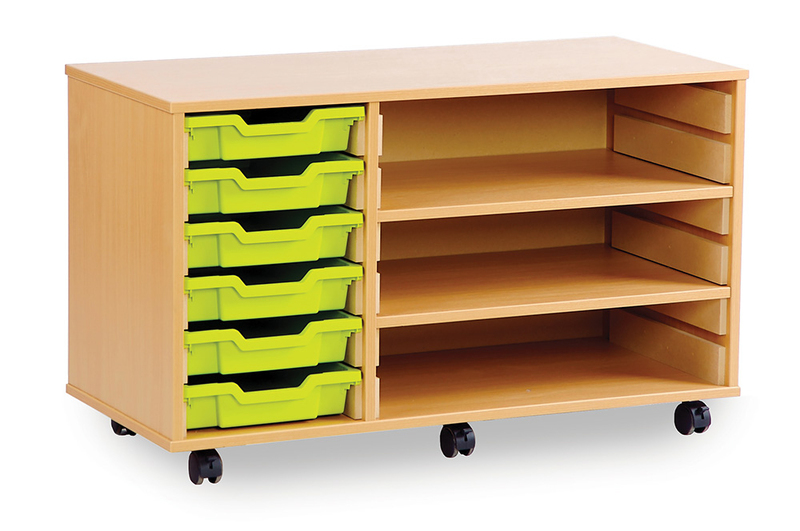 Our shallow tray storage with shelving is available with 6 or 8 shallow Gratnells trays. It features shallow trays and a shelving area with two adjustable shelves to store larger items such as paper or books. Constructed from strong 18mm MFC with protective PVC edging in a fresh beech finish. You can have your unit mobile or static and each unit is supplied with easy glide castor wheels. 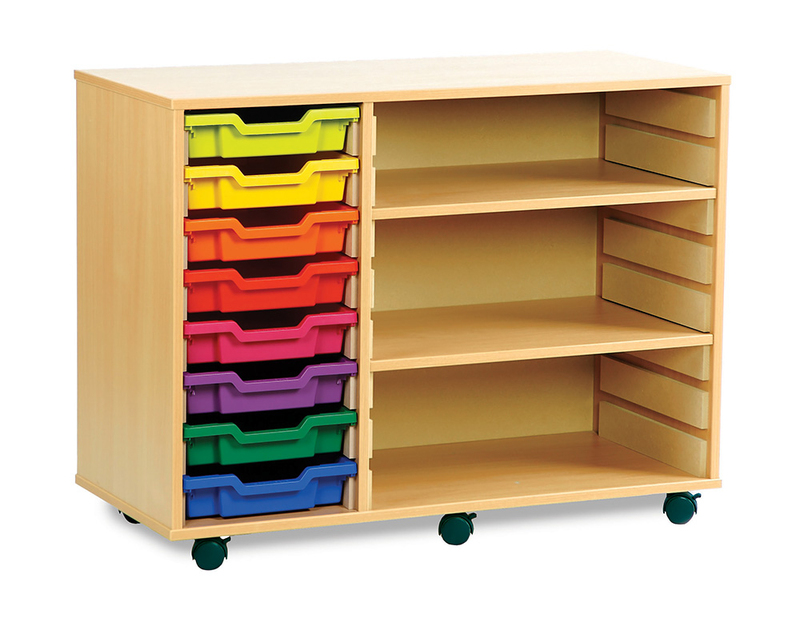 The classroom storage unit is delivered fully assembled and Gratnells trays are available in 17 colours. 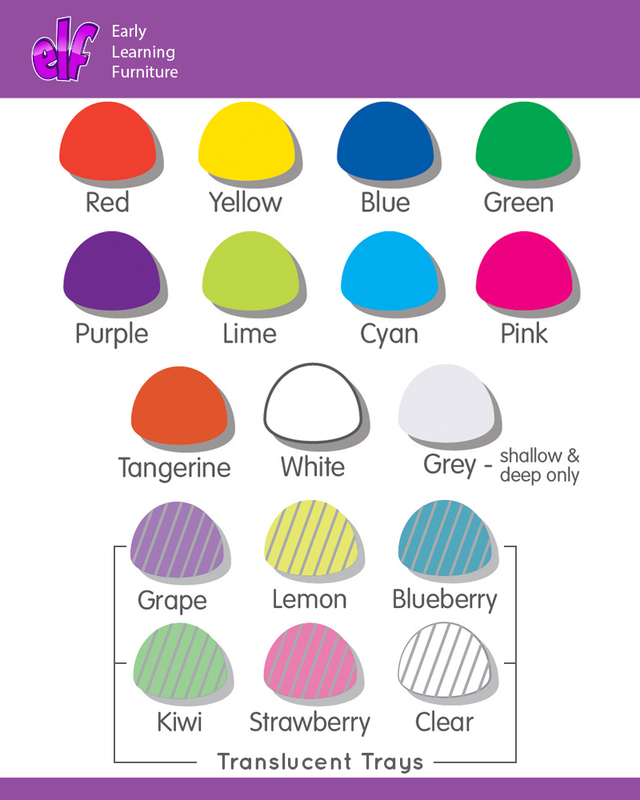 Add colour to your classroom and personalise it to suit your classroom design and colour scheme.